So, it took a lot of tweeting to manage to get hold of this bear, his restock dates kept getting delayed and when he was restocked some people were buying him purely to sell (for a higher price) on eBay (not good). When I eventually picked up my order at our local M&S a member of staff commented that my kids would be pleased, not realising that Paddington was to add to my own collection not the kids (I will let them play with him- honest!). The book, Paddington & the Christmas Visitor was however bought to read to the kids. It makes a lovely bedtime Christmas story and £2 from every book sold is donated to NSPCC Childline. I also treated our Christmas tree to a Paddington Bear Tree Decoration, it reminds us of our lovely evening watching Paddington 2- which was a laugh out loud enjoyable film! 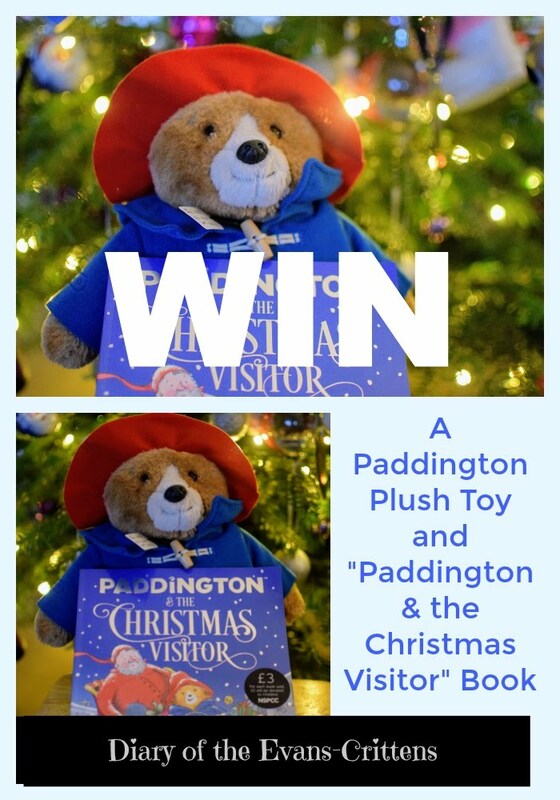 For your chance to win a Paddington Bear Plush Toy and a Copy of Paddington & the Christmas Visitor just enter the easy Rafflecopter below (remember to read the terms and conditions)- good luck! If you also love Paddington Bear keep an eye out for the last Michael Bond Paddington Book, Paddington at St Pauls being released in May 2018, coincidentally sixty years after the publication of the first book, A Bear Called Paddington. It may be the last Paddington book but I know the tales of the bear from Peru will entertain children for many more generations. My favourite is A bear called Paddington. Love how we discover Paddington and his new family. My daughter adores Paddington Bear and her favourite story story is ‘Paddington at the palace ‘. 'A Bear Called Paddington' is my favourite, because this was the one that first introduced him.